In the first weekend of February, I tagged along with Exotic Philippines blogger Gay Aida Dumaguing on a trip to Malapascua Island in the northernmost Cebu town of Daanbantayan. Malapascua Island is known to be among the top dive spots in the Philippines. It is located between the islands of Masbate province and mainland Cebu in the Central Visayas. Roger "Radj" Casalinas was our host for that trip. Radj is the information technology consultant of Divelink Cebu, among the top dive shops in the island. A few people also joined us for that trip. Jane and Aline are French interns who teach French language courses at the University of San Carlos and Alliance Francois. Nate was a businessman based out of San Francisco, California, U.S.A. and LR was Radj's college batchmate who is already a PADI-certified open water diver. This post chronicles my experiences of that trip to Malapascua. Malapascua: What's in a Name? The old name of Malapascua Island is Logon. Until today, the barangay that occupies Malapascua Island is still called Logon and the busiest beach on the island is known as Logon Beach. There are other beaches in the island, the most popular ones are Bounty Beach and Guimbitayan Beach. The name Malapascua was given by Spanish sailors from a shipwreck that happened around Christmas Day, thus the name Malapascua which means bad Christmas. Our rendezvous point was at the Quest Hotel near the Cebu Business Park in Cebu City. It was where Nate was staying. 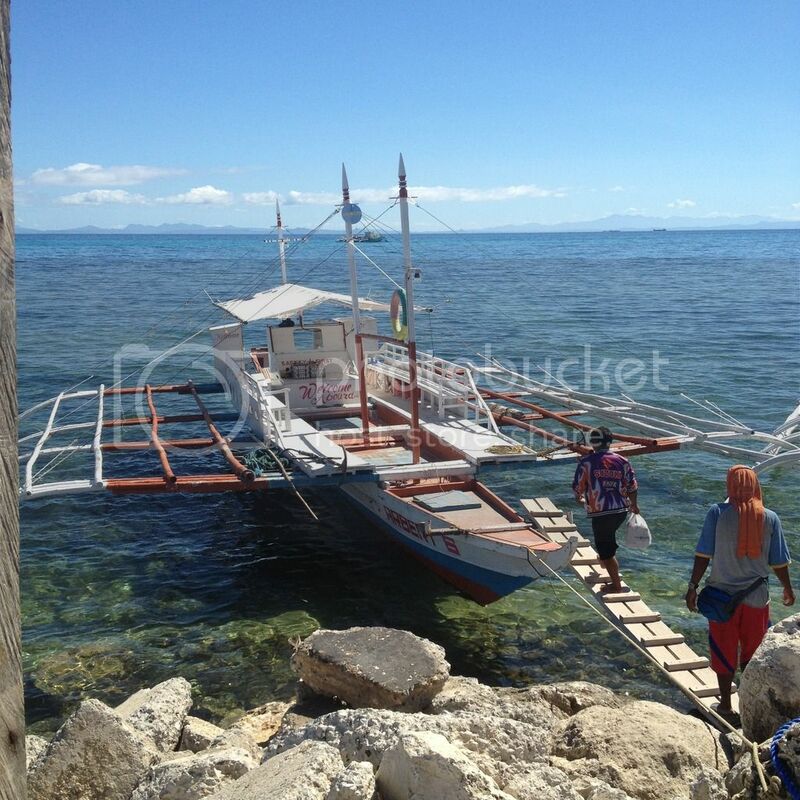 From there, we were to ride a van to Maya Wharf in Daanbantayan town. Jane and Aline joined us at Quest Hotel while we picked up LR and Gay along the way. It was raining hard early in the morning and Radj was a bit worried about the weather. We made a stop to have breakfast at Carmen town. By this time, the rain has stopped and it was turning out to be a sunny day. When we got to Maya Port, a pumpboat was waiting for us at the Maya Wharf. M/B Arbert 5 took us on a 30-minute ride from Maya Wharf to Logon Beach in Malapascua Island. Upon arrival at Malapascua Island, we checked in at The Thresher Shack, the dormitory type accommodation for patrons of the Divelink Cebu dive shop. Divelink Cebu is among the top dive shops in the island. It is located right on Logon Beach, a short walk from the shoreline. 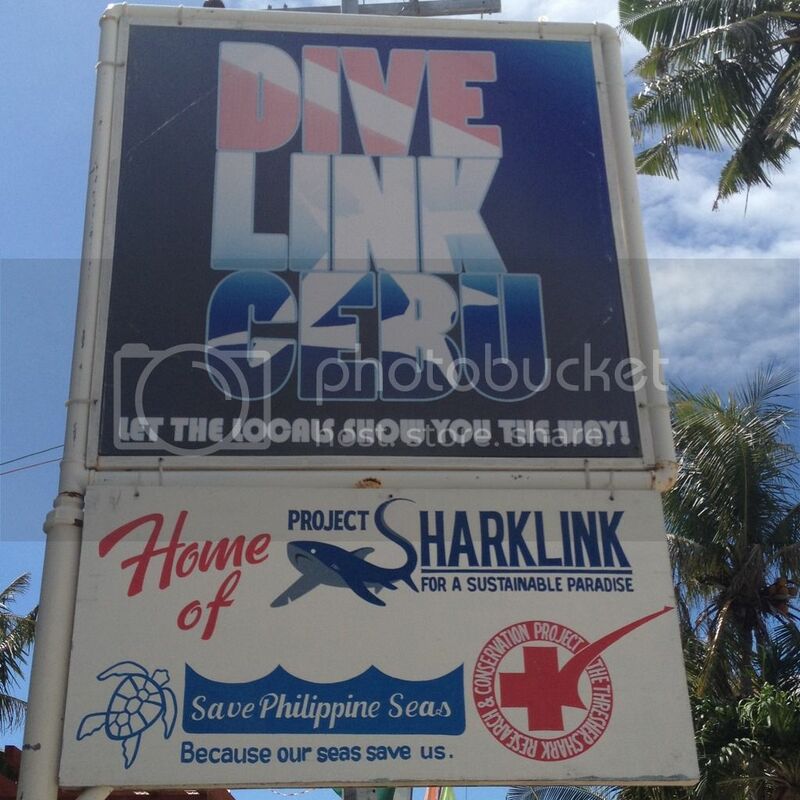 Aside from being a top dive shop in Malapascua Island, Divelink Cebu is also active in the community. It is home to Project Sharklink, a research project. It also supports the Migo sa Iho, Daanbantayan town's Bantay Dagat task force. They are heavily involved with The Thresher Shark Research and Conservation Project, is a dedicated member of Green Fins, and is a proud partner of Save The Philippine Seas. 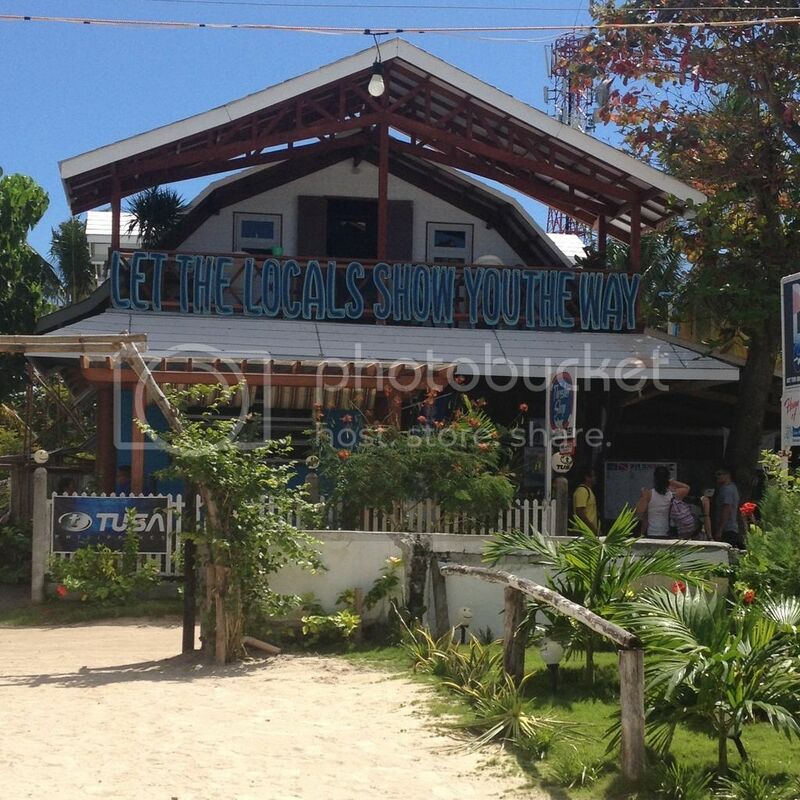 Furthermore, it is the first Filipino-owned dive shop on Malapscua island. It proudly stands by its slogan which reads "Let the locals show you the way". Click here to read more about Divelink Cebu. The Thresher Shack is currently a 6-bed dormitory on the second floor of the building occupied by Divelink Cebu. Along with a decent bed and linens, the accommodation provides each guest with a foot locker, a desk fan, an extension cord, and a reading lamp. More rooms are being constructed. Upon completion of the rooms currently under construction, Thresher Shack will be able to accommodate up to twenty two (22) guests at any given time. See fish when you dive, see fish when you sleep. And now, you get your own footlocker when you stay with us at The Thresher Shack for only P500/bed/night. Cute! The dive package that we experienced is called the Barely Wet Weekend, a dive package offered by Divelink Cebu to scuba diving virgins. This is a very affordable way for newbies to try scuba diving. Barely Wet Weekend package costs only PhP 5,000 for a pair and even less for larger groups. With that cost, guests can already go through a discovery scuba diving session, two (2) fun dives, and a 2-night stay at the Thresher Shack, a dormitory type accommodation on the Divelink Cebu property. On the afternoon of 7 February 2016, we scheduled for our discovery scuba diving session. We had a classroom session with Dennis. The classroom session involved watching a video about the basics of SCUBA diving, a lecture by Dennis, and a post-instruction exam to test whether we assimilated the lessons well. Anna and Emilia assisted us with fitting our face masks, wet suits, fins, dive boots, regulators, and buoyancy control devices. Anna or A is an Austrian and Emilia or E is American. They are dive masters in training at Divelink Cebu. After the classroom instruction and preparing our basic equipment, we proceeded to board the M/Bca. Malapascua Princess en route to the training area or what local divers love to refer to as The Cemetery. On the coast was really a cemetery. While we were on the boat, weights were distributed to us. With full SCUBA gear on, we were taught to do the giant stride to exit the boat and enter the water. The giant stride involves one standing at the edge of the boat, taking one big stride toward the direction of the water and letting gravity do the rest. I am fairly uncomfortable around water, I tried to do it, but ended up taking the stairs to enter the water. The weight belt also came loose so Radj had to adjust it for me. Once on the water, we were asked to swim to the shallow water part breathing through the regulator. Shortly after I tried, I almost drowned as I breathed through my nostrils instead of my mouth into the regulator. After that, Emilia towed me to the shallow part and did one-on-one lessons with me while the rest had their practical lessons with Dennis. Uncharacteristic of most Americans I knew, Emilia was very patient. While everyone advanced through the basics, I struggled mainly because of my discomfort around water. I was always concerned about tipping over in water and Emilia comforted me with the thought that since I'm on water, it's okay and nothing would happen to me. My biggest problem was flooding on my mask so we focused on practicing the skill of mask clearing. I barely mastered it. One of the hardest part for me was also submerging in water. One fact I learned from the experience is that we are naturally buoyant. E had to put more weight on me but I seem to just keep floating. I would learn later that I was overweighted. We finished the afternoon session at around 4 p.m. and the seas were getting rough as we returned to base at Logon Beach. The second dive we took was a fun dive in the morning of 8 February 2016. The dive crew initially planned to dive off Dakit-dakit island. Radj and Nate were first in the water. A few moments later, they went back up to the boat. Apparently, the current was so strong and it did not seem like a fun experience for beginners. The dive site was transferred to the Los Bamboos dive site near Lapus-lapus Island. On this second dive, I had Seth Bacalso as my dive buddy. Seth is a Cebuano who has found his passion in diving. E was worried about my lack of mastery on the basic skills so Seth agreed that we'll do some more basic skills lessons before we go underwater. My face mask still gets flooded with water all the time and I never mastered the skill so Seth had to abort my dive. Everyone else competed their dives except for me. I would later learn that my mustache could have gotten in the way. I'll take not to shave when I ever get to dive again in the future. Gay and I still had one (1) more fun dive we could go for in the afternoon. Everyone else in our group were already returning to Cebu City around lunch. Gay decided to go with them leaving me alone if I took the third dive. So I decided to just return to the city with them. We ate at three (3) places during our stay at Malapascua Island from 7-8 February 2016. We ate lunch at Jumbo's Carenderia upon arrival on the island. I had breaded pork chops and sautéed string beans for my lunch. Dinner after the discovery scuba dive basic skills training on 7 February was at Angelina Pizzeria Ristorante Italiano. Our group ordered a giant pizza with four (4) different flavors. We ate breakfast at Ging-ging's Restaurant on 8 February. Ging-ging's Restaurant serves mostly Filipino food. Although they also serve delicious pancakes in different flavors. I had my favorite breakfast, pork tocino. I also ordered an omelet with bacon and onions on it.